If you spend more than a few days visiting Hiroshima, this phrase might come out of your mouth as well. Every street has at least one shop featuring the city’s popular version of this quintessential Japanese food. 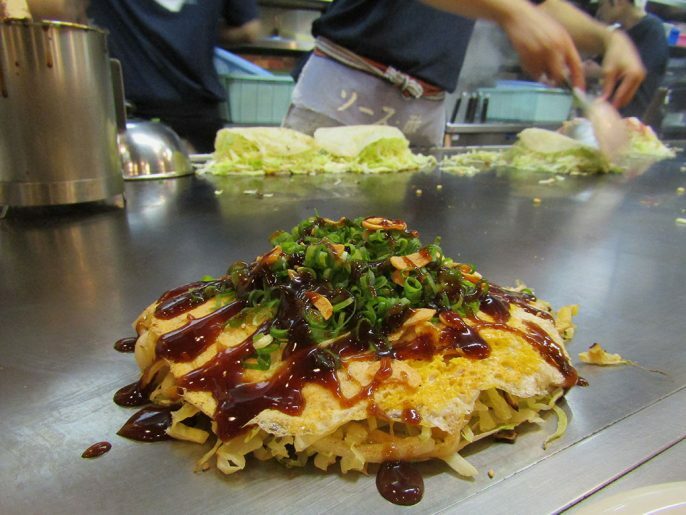 In case you’re not familiar, okonomiyaki is a savory pancake, made with a combination of batter, eggs, cabbage and other fillings, then topped with a sweet and salty sauce. Every region does it a little differently. 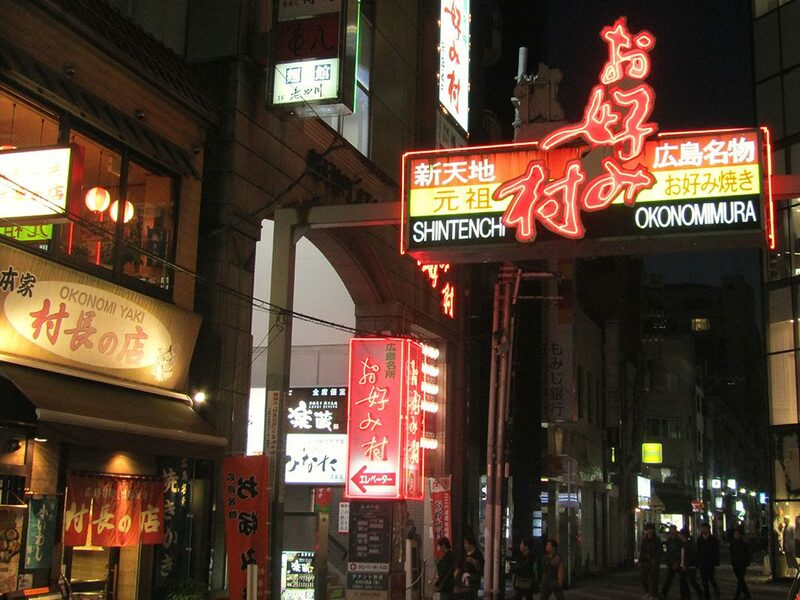 In Osaka, all of the ingredients are mixed together, creating a solid slab of tastiness. In Tokyo, monjayaki is king, combining the ingredients with a runny, cheesy batter that is fried directly onto the griddle, then peeled off with a spatula. 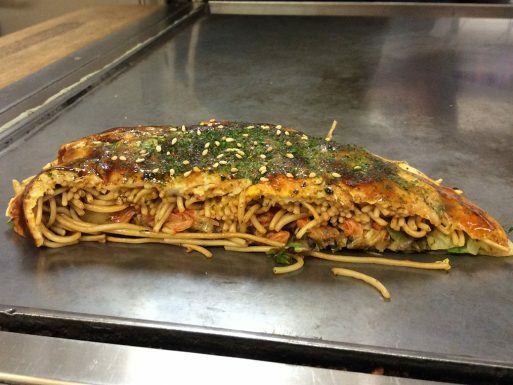 Vegetarian okonomiyaki at Nagata-ya in Hiroshima. 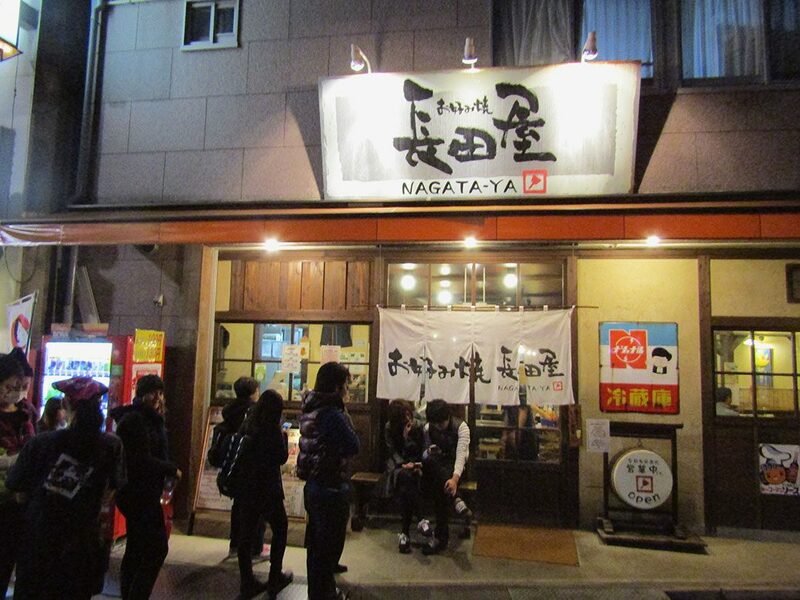 Nagata-ya is one of the most popular shops in town and offers several vegetarian-friendly options—a rarity in Japan. The highlight was slivers of fried garlic sprinkled on top. The line outside Nagata-ya. A good rule of thumb in Japan: if you see a line, get in it! Okonomimura means Okonomiyaki Village. 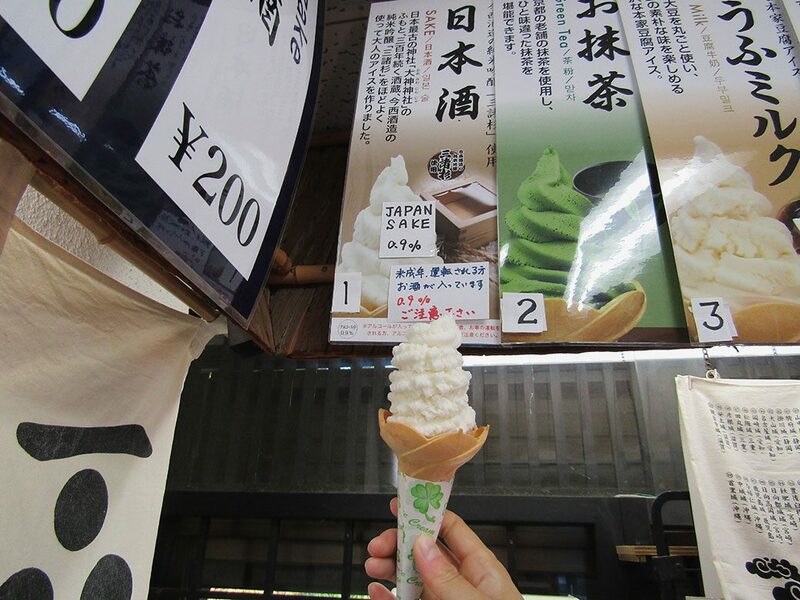 Taking up three floors of a building, 25 different shops offer their own unique spins on the cuisine. 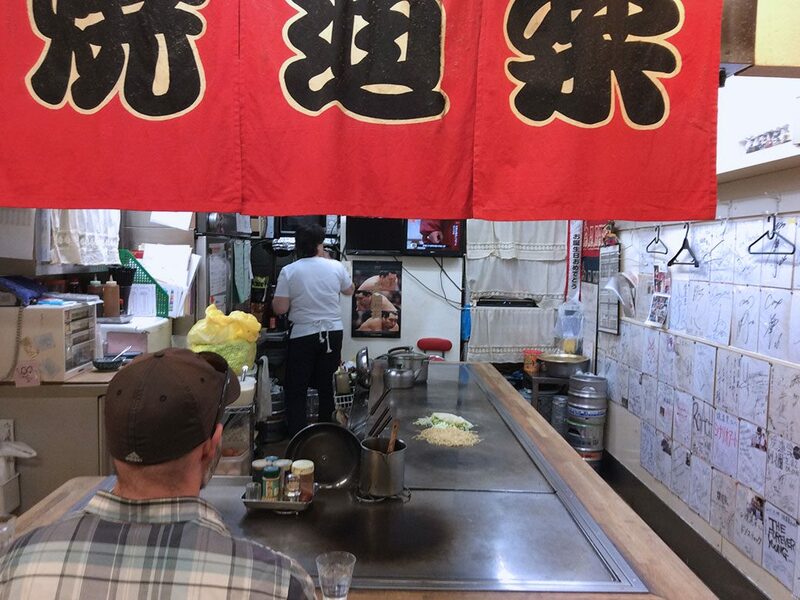 At Okonomimura, we chose Yakidouraku, a shop that incorporates its South Korean roots, including fresh kimchi in the okonomiyaki and Korean soap operas on the television. A close-up of our okonomiyaki at Yakidouraku. In Hiroshima-style okonomiyaki, the batter is poured into a thin crepe, then the filling is placed on top. An egg is cracked onto the griddle, its yolk broken and cooked thin to create another “crepe” that goes on top. It’s more like a big sandwich than the Osaka version. The kicker is the soba or udon noodles that are added to the filling, creating a carb-loaded meal that will keep you going for hours. 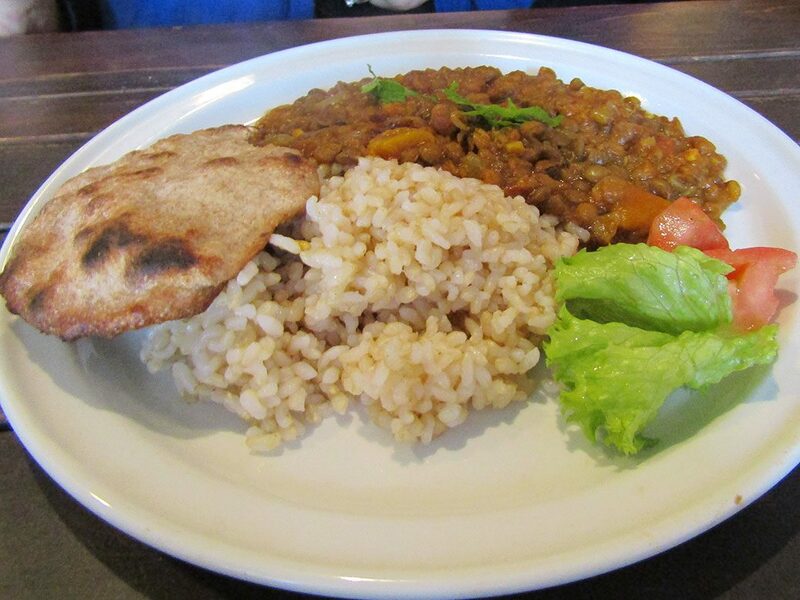 While the original version was more of a snack, the modern version evolved in the post-World War II era as a way to combine cheap ingredients into a nutritionally-dense meal. 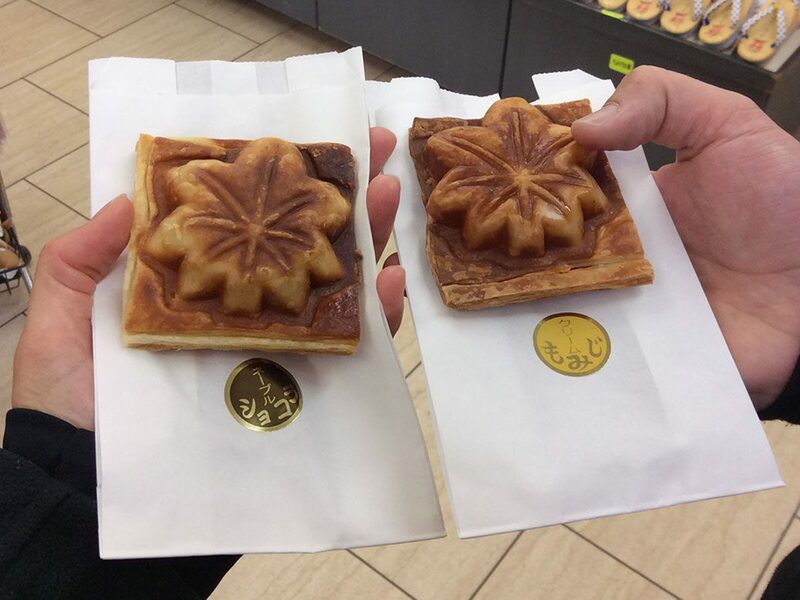 While the maple leaf-shaped cake known as momiji-manju can be found all over Japan, its origins are in Hiroshima, specifically the southern island of Miyajima. 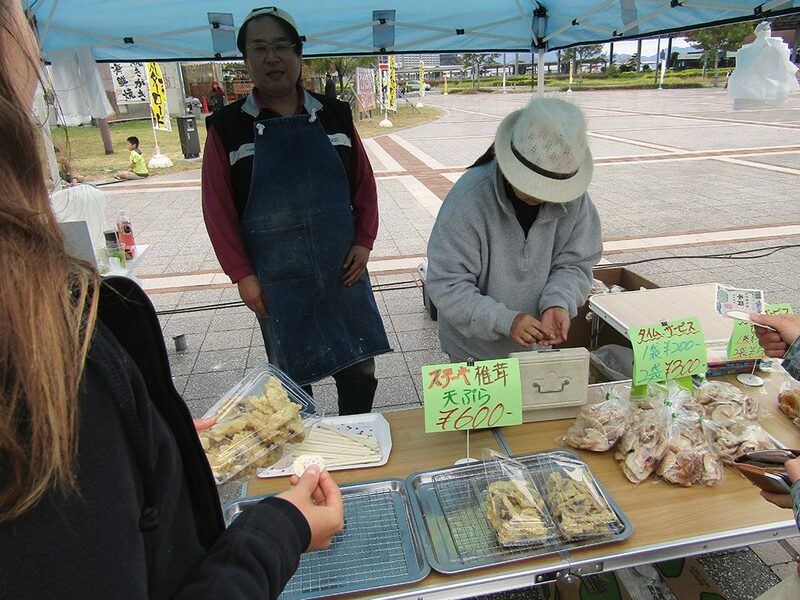 The cakes were created in the early-1900s in honor of the island’s famous maple leaf viewing festivals. 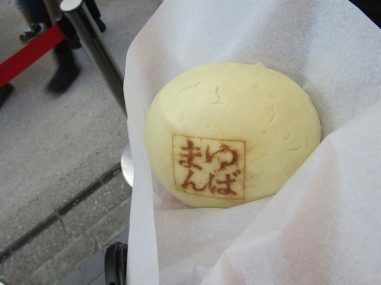 The deep-fried version of momiji-manju is called age-momiji. It’s breaded, fried and served hot. This one was custard-filled and delicious. These croissant-style momiji follow the trend of croissant taiyaki, the popular fish-shaped doughnuts found throughout the country. 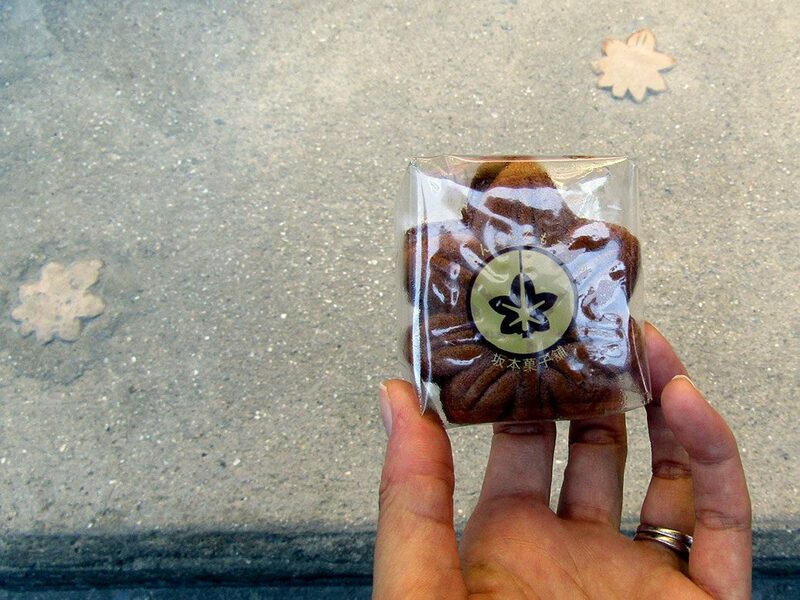 Crispy, flaky and delicious, we found these on Miyajima—the birthplace of momiji-manju. The original momiji-manju, a soft cake filled with sweet bean. 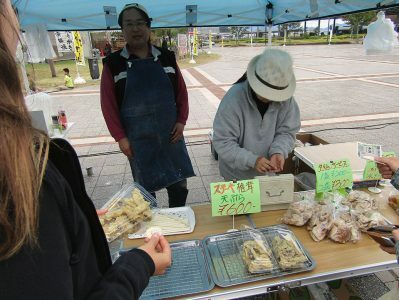 A woman hard at work packaging the thousands of momiji-manju that will be sold in her shop on Miyajima. 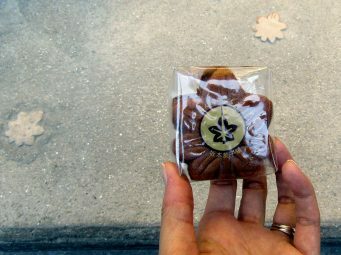 We hadn’t even left Hiroshima Station when we came across our first momiji-manju. 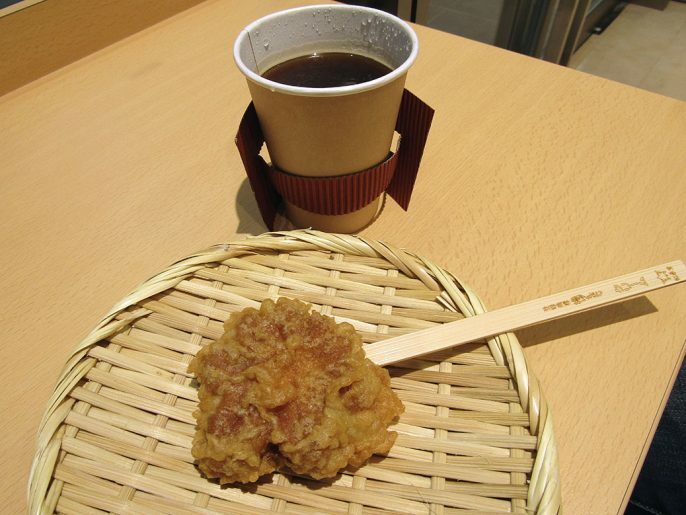 A shop inside the station sold a breaded, deep-fried version that was sinful and delicious. 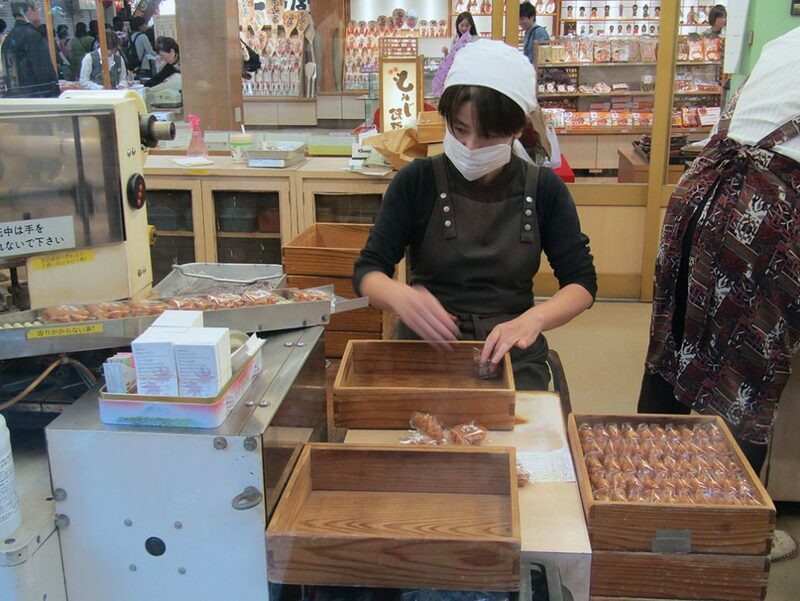 While they were originally made by hand, they’re now abundant throughout the city thanks to the complex automated baking and wrapping machines, many of which are on display in the Miyajama shops. 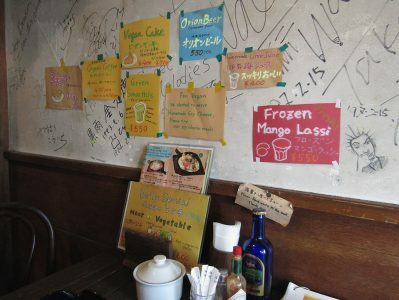 There’s more to Hiroshima’s food scene than just okonomiyaki and momiji. Check out the gallery below for some of the other awesome sweets, treats and eats from the week. 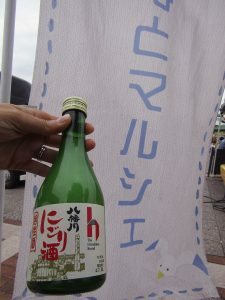 Yahatagawa Brewery’s Kassei Nigori Sake is bottled with live yeast, true to the kassei style. It’s one of the few products to receive the official “Hiroshima Brand” designation. 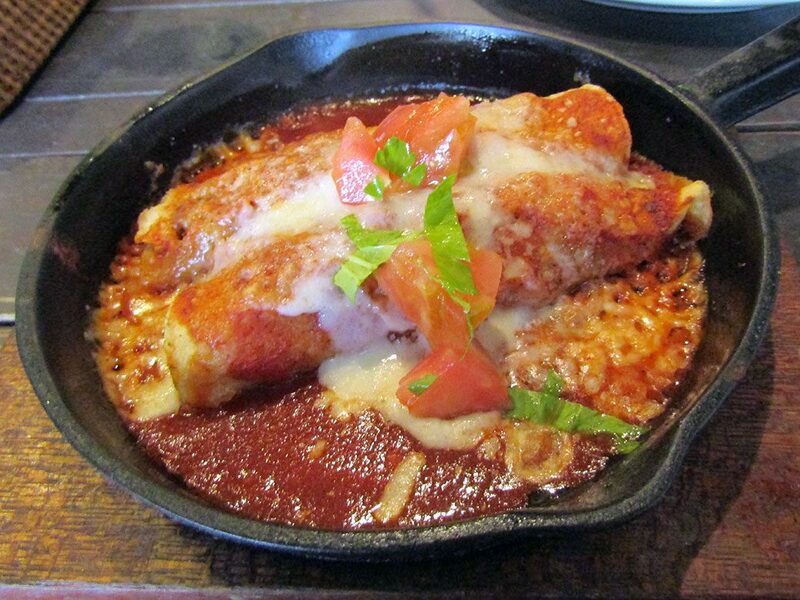 Enchiladas at Otis! Cafe. Decent Mexican food is very difficult to find in Japan. Otis! didn’t disappoint. The vegetable and lentil curry at Otis! Miyajima Coffee was one of the first shops to open early in the day on Miyajima. 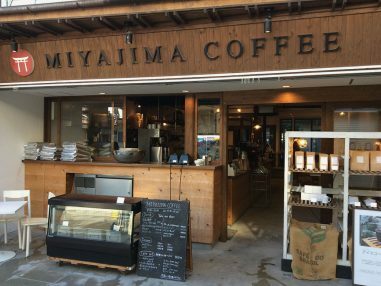 Their cozy interior and tasty coffee was a welcome break. 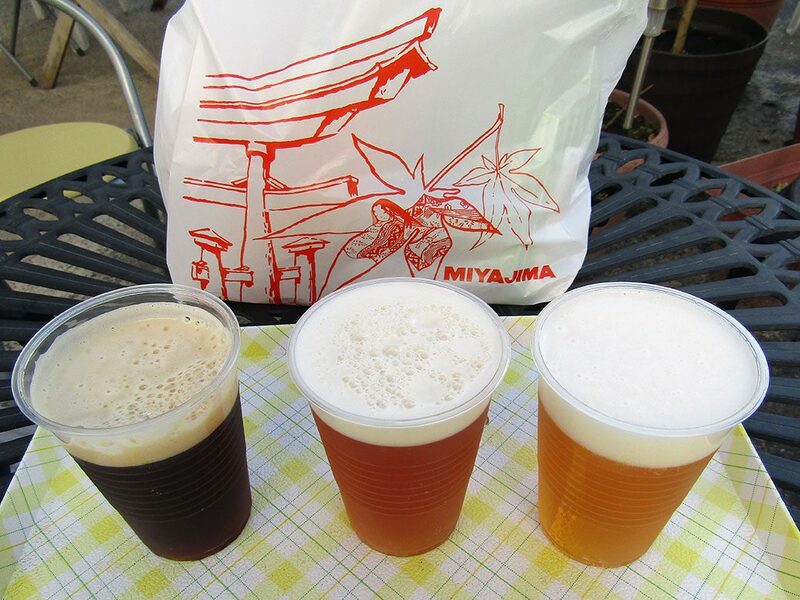 The sampler set from Miyajima Beer—from left to right (and best to least-best), Dunkel, Pale Ale and Pilsner. 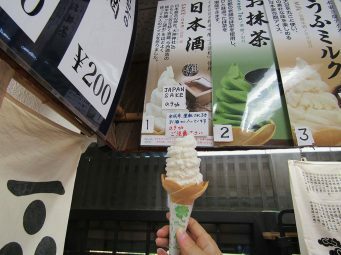 A yuba bun on Miyajima. 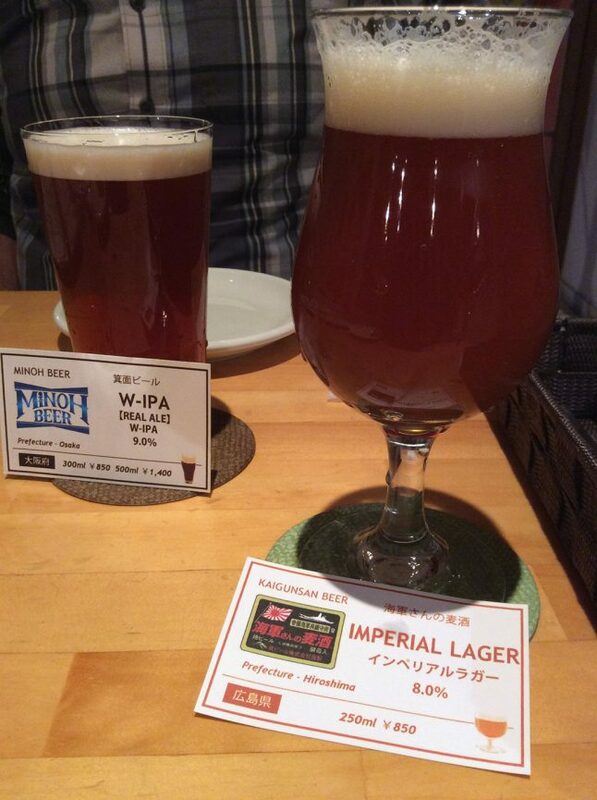 Check out our Nikko post for more about yuba. Enjoying a Hiroshima Cola and Maboroshi Sake as the sun sets behind the Great Torii on Miyajima. 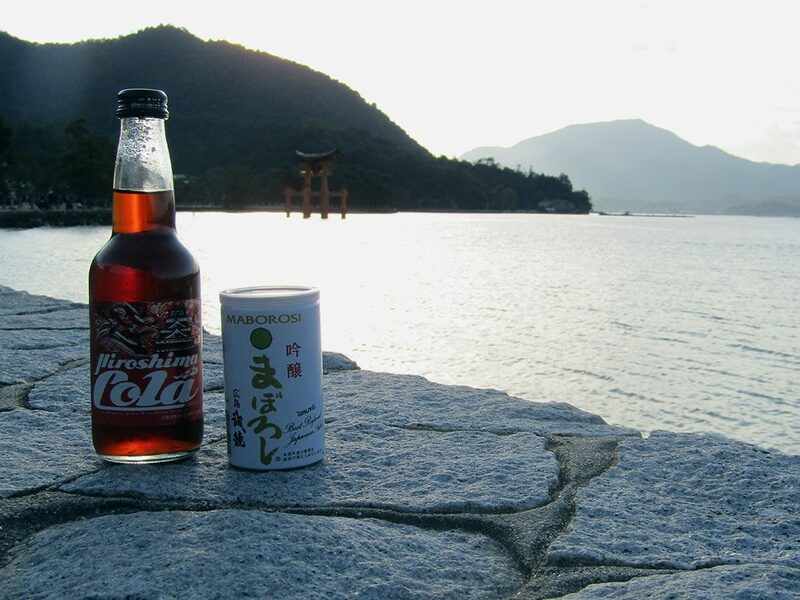 The unique natural cola is made with hassaku, a fruit similar to an orange or grapefruit. 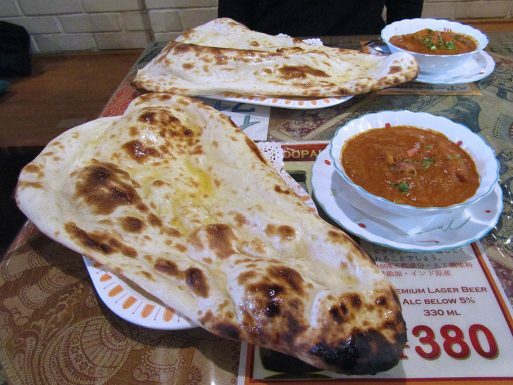 Lunch at Roopali included vegetable curry and infant-sized nan brushed with clarified butter.